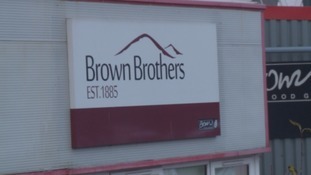 An extension at Brown Brothers will create 50 new jobs, and has been made possible because of government and EU funding. The number of people working in tourism in the Scottish Borders increased by 11 per cent in one year, new figures have revealed. A hydro power station is to be built in Dumfries and Galloway, bringing hundreds of temporary jobs to the area. Scottish Ministers have granted approval for the construction and operation of a pumped storage hydro (PSH) electricity generation station in Glenmuckloch, near Kirkconnel. Around 327 temporary workers will be employed to build it, and up to 15 permanent jobs will be created to operate it. The site is currently operated as a surface coal mine. With an installed capacity of up to 400 MW, and supporting 327 temporary and up to 15 permanent jobs, the Glenmuckloch station will help support the local economy in Dumfries and Galloway and support the growth of renewables in Scotland’s energy mix. The scheme is a joint venture between Buccleuch and 2020 Renewables. They say it would still need major financial investment from other partners to proceed. Meetings have taken place with the UK Government – which sets energy policy – to discuss the need for a stable revenue mechanism that will encourage investment. Unions and politicians say they are doing all they can to protect 140 jobs at a Dumfries firm, which has entered administration. An engineering company in Dumfries has gone into administration. Penman has been in business since 1859, and employs around 140 people. Dumfries and Galloway Council is to cut 250 full-time jobs, as part of plans to save more than £21 million over the next year. A Scottish Borders textile mill is to close with the loss of 87 jobs. Moorbrook Textiles, the owner of textile brands Replin Fabrics and Robert Noble, has announced that the group’s mill in Peebles is to close. The company revealed in May that it was seeking a buyer for the mill and had begun a 30-day consultation period with its 87 employees. Despite some initial interest from potential buyers, no credible offers for the facility have been received and the management team say they have been left with no option but to announce the mill’s closure. “Over recent weeks we have had discussions with a number of groups interested in purchasing the business but regrettably these have not resulted in any credible offers. A date for final closure of the site is expected to be confirmed shortly. Today marked a new era for the Heinz factory in Kendal as it become Kendal Nutricare after 25 years. At its peak this factory employed around 300 people. 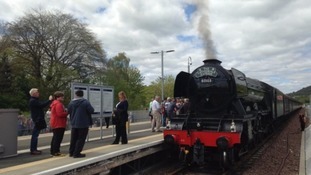 At the moment it employs around 88 plus contractors. The new company hopes to keep all those jobs and create more. "There's been a long period of uncertainty here: we've had 12 months of redundancies and a lot of work's gone from the site but I think it's great news for me personally and everyone in Kendal because I've just had a baby and I need the job and it's great for the future." The pharmaceutical research company makes food such as baby milk and will still produce some Heinz products but it's now run by an Irish entrepreneur rather than a multinational company, and he has big plans. "We've a core team now you know not just production, we have research, we have our own laboratories in house and what we want to do is we want to take in apprentices, we want to take people in from the community who want a long-term career here and we intend to develop new products for exports to the Asian markets and across Europe, so we're looking for graduates, we're looking for craft workers and technicians and I want to say to people locally, 'you know, you can come here and have a long-term career'." "The deal includes a two-year co-pack arrangement for Kendal Nutricare to manufacture Heinz infant cereals for the UK as well as Heinz infant formula for the Chinese market. "The sale offers a positive future for the factory and for the people employed at the site." A Borders-based timber company's expansion plans could create more than 50 new jobs in Selkirk. Oregon Timber - who are based at Dunsdale Haugh - want to take over the nearby former Co-op home furnishing store which closed last summer. Oregon, who supply timber frames for house-builders such as Cala, Miller and Dawn, already have a 100-strong workforce in Selkirk. The firm has applied to Scottish Borders Council for planning permission to change its use from retail to a timber manufacturing facility. Documents lodged with the application state the new factory will have a proposed employment of 53 staff. "The sole aim of making this application is to pursue the company's desire to acquire additional space suitable for the proposed expansion of its current timber frame manufacturing facility in Selkirk."